American Companies & Leads - High density 4x8 pvc foam board for advertising, Product by Shandong Utlet New Materials Co., Ltd.
Shandong Utlet New Materials Co., Ltd was located in Shandong Jinan High Tech Development Zone - Zhangqiu and is known throughout the world as the PVC foam sheet manufacturer. shandongutlet (AT) hotmail (dot) com shandongutlet (AT) outlook (dot) com The location of the company is Jiaoji Railway, Jiqing Highway, Jiqinggaosu Highway, by the East Road, Zhang Lai Road, Pan Wang Road, through criss-crossing, extending in all directions. Jinan Yaoqiang International Airport is located in Zhangqiu, half an hour drive up to Beijing-Shanghai, Beijing-Fuzhou Expressway, 3 hours drive up to Qingdao port. 1.Advertisement: exhibition & display, digital printing, silk screen printing, engraving materials, sign board, etc. 2.Furniture office furniture, cabinet, bath cabinet, etc. 3.Finishing Material decorative sheets, storage racks, room segments, etc. 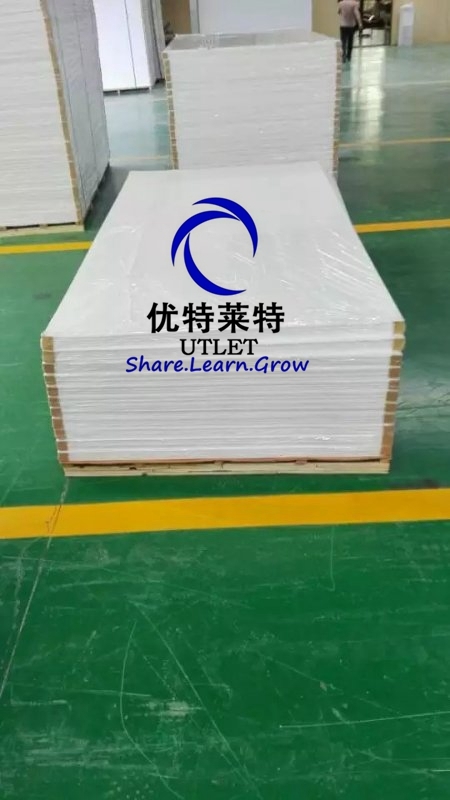 Welcome to buy from Shandong Utlet New Materials company. We shall try our best to satisfy you!